Daniel Thomas believes he's a legitimate contender for the Dolphins' starting running back job. Thomas must not be watching much of his own film. "I don’t know why (Lamar Miller) would have the inside track," Thomas said incredulously Tuesday. "It’s an open competition. Everybody has a fair shot. The best player is going to get the job. Nobody has a leg up." Thomas does admit he's been "inconsistent" since being the No. 62 overall pick of the 2011 draft. All signs suggest the Dolphins want and expect Miller to be their No. 1 back. 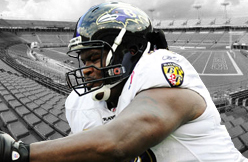 So far, all is good as far as left offensive tackle Bryant McKinnie and the Ravens. The word from The Castle is that the often-troubled McKinnie has been attending conditioning sessions and working hard. His weight is down and reasonable, and the expectations are high that he will be ready when the team opens training camp in late July. That would be perfect for the Ravens because they wouldn't have to move other players around, like guard Kelechi Osemele or right tackle Michael Oher, to fill in for McKinnie. The Ravens need to work on timing issues, especially in the middle of the offensive line with new center Gino Gradkowski and guards Marshal Yanda and Osemele. If Gradkowski performs well, the Ravens' offensive line could be one of the strong in the conference -- providing McKinnie keeps working hard. INDIANAPOLIS (WISH) - A man charged with auto theft for stealing Reggie's Wayne's Bentley and driving drunk was sentenced Thursday. Gunner Belcher pleaded guilty to operating while intoxicated and criminal conversion. He was sentenced to 60 days in jail, 58 days suspended, and two days served. He will be on probation for 363 days. According to a police report, Belcher was pulled over and tried to stop the vehicle in the middle of the road. 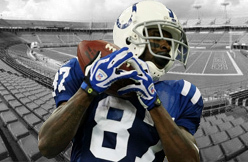 Police say he smelled of alcohol and told officers he was Indianapolis Colts' Reggie Wayne's "cousin by marriage." The next morning, Wayne attempted to pick up his Bentley from the Westin Hotel when he was informed that valet staff had no idea where the Bentley was. The car was later returned to Wayne. Only three of the 26 running backs selected in the 2005 NFL Draft are still in the league. Furthermore, only one of them stands as his franchise leader in three major stat categories: carries, rushing yards and rushing touchdowns. Enter San Francisco 49ers workhorse Frank Gore. The former third-round pick, who was the sixth running back drafted in 2005, has more rushing yards than any of his draft class counterparts and still carries the chip on his shoulder from being passed up at the draft. Gore, a four-time Pro Bowl running back, has gained 8,839 rushing yards in eight seasons. “Nobody expected me to be in the league this long," Gore told 49ers.com after a recent workout at 49ers headquarters. Only Brandon Jacobs and Marion Barber have more touchdowns than Gore and both remain unsigned. 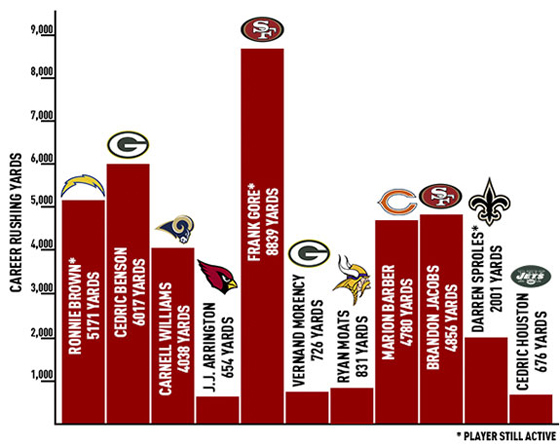 With just six more touchdowns this season, Gore will lead his draft class in that category too. The recently turned 30-year-old running back has been on a blistering pace to start his career with the 49ers and doesn’t plan on slowing down any time soon. Gore has eclipsed the 1,000-yard rushing mark in six out of eight seasons. He finished 2012, his fourth Pro Bowl season, with 1,214 rushing yards. With 37 more yards on the ground, Gore will pass Roger Craig to rank second all-time on San Francisco’s yards from scrimmage list. At that point, Gore would only trail Hall of Fame wider receiver Jerry Rice. It's been an already historic career for Gore in San Francisco. 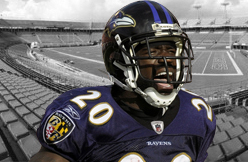 The hard-nosed running back slipped to the third round in 2005 because of medical concerns about his knees. Looking back, the draft-day slide might have been a blessing in disguise. Gore came into the NFL motivated to prove critics wrong. "Every year in my career, it's been 'when' and 'if' I'll slow down," Gore said. "I look at it as a challenge." Gore hasn't just accepted the challenge, he's used it to become one of the NFL’s top running backs. After turning 30 on May 14, there's still plenty Gore wants to accomplish. "I want to show I'm not going by what people say about being a certain age - when you're 29 or 30, you can't do it anymore,” Gore said. “As long as I'm working, healthy and able to play this game, I can do a great job." 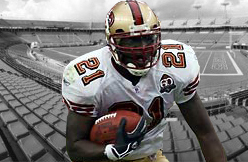 When Gore came to San Francisco, he split carries with running backs Kevan Barlow and Maurice Hicks. Neither Barlow or Hicks were proven NFL veterans, forcing Gore to find his own example of how to be successful. Instead, Gore has provided that example for the rest of the 49ers running backs. Anthony Dixon, Kendall Hunter and LaMichael James constantly speak highly, not only for his ability on the field, but what he means to the entire group off the field. Now, Gore has a new protégé in fourth-round draft pick Marcus Lattimore. Like Gore, Lattimore had to fight through knee injuries in college, including a gruesome injuryagainst Tennessee in 2012. Lattimore tore three ligaments on an open-field tackle and was out for the season. It was no surprise that Gore wanted to reach out to Lattimore after being put in contact by teammate, Chris Culliver, a former South Carolina cornerback. "It's similar to what I went through," Gore said. "That's the main reason I called him when it happened. I wanted to reach out to him and tell him to keep his head up." While Gore lacked role models when he came to San Francisco, Lattimore has a perfect example in the 49ers four-time Pro Bowler. Even with his continued success, Gore continues to be a leader both on the field and in the classroom. "It doesn't matter what you've done," Gore said. "I could easily be in practice, not doing this or not doing that. I think my teammates respect me because even though I've had success, I still treat everyone the right way. They see me practice and I practice hard. I'm paying attention in the classroom, too. They're able to see me being a pro." Gore's advice didn't stop after his initial phone call to Lattimore. The two are often together during offseason practices, watching plays and taking mental reps. Gore makes sure Lattimore is able to make the most out of practice, even though he’s not able to participate. If Lattimore is able to follow Gore's lead, maybe his name can also stand out from the other 2013 class of running backs. "I think that Marcus will have a fine career,” Gore said. “I think he'll have a better pro career than college. He only really played one full year in college. He can't help what happened with his knees. I just feel like once he gets back on his feet, he'll be fine." The chart above shows how Gore's career rushing yards stack up against the rest of the 2005 running back class. Only the next 10 closest to Gore are shown. Ronnie Brown and Darren Sproles are the only other two running backs remaining in the NFL. Brown and Sproles have combined for 46 total career rushing touchdowns, five fewer than Gore. The Texans have signed running back Deji Karim and center Tyler Horn, who both tried out for the team at rookie mini-camp from May 10-12. The Texans released two undrafted rookies, running back George Winn from Cincinnati and tackle Dann O’Neill from Western Michigan. 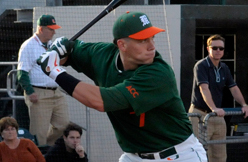 Horn (6-4, 305) went undrafted out of the University of Miami in 2012. He was signed by the Atlanta Falcons as a rookie and spent the final nine weeks of last season on the Tennessee Titans’ practice squad. 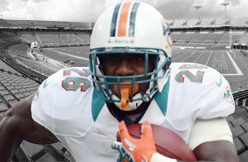 Miami Dolphins RB Lamar Miller has been working out with San Francisco 49ers RB Frank Gore during the offseason. 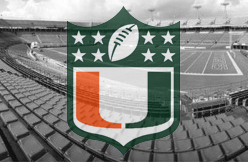 Gore, a fellow University of Miami alum, counseled Miller on lessons learned in the NFL. 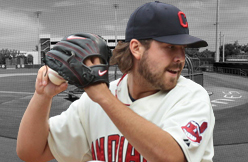 Miller said Tuesday, May 14, he is staying at 215 pounds, but adding more muscle mass. Fantasy Tip: Miller is viewed by some as having a leg up in the competition for the starting tailback job in Miami, although Daniel Thomas is not ready to go quietly. Whoever emerges as the top dog will be a low-end RB2 or flex fantasy option in most formats. Darryl Sharpton not as healthy as he says? Texans DC Wade Phillips says ILB Darryl Sharpton is still not recovered from his late-season hip injury. "Darryl's not healthy enough right now to do our offseason stuff," Phillips said. "He's still not been cleared by the doctors." This contradicts earlier comments from Sharpton himself, who claimed in February he was 100 percent healed. We'll find out for sure when the Texans begin OTAs on Monday. FOXBORO, Mass. — New Patriots wide receiver Donald Jones remembers the shot he took from Vince Wilfork well. And even if he didn’t, his new Patriots teammates and coaches will never let him forget it. As Jones was running a route in the middle of the field during the Bills-Patriots Week 4 matchup, Wilfork caught wind of him, dropped into coverage and collided with the former Bills wide receiver just as he was receiving the ball. Jones couldn’t make the grab as the 325-pound behemoth caught him in midair. “Yeah, I talked to him about it,” Jones said of Wilfork. “Guys make jokes about it all the time. They bring it up. Matter of fact, when I came on my visit here, that was one of the first things the coaches said. That’s something that I’ll never forget.” Jones said it wasn’t the hardest hit he’s ever received, despite the size of the man hitting him. If Wilfork landed squarely on the 208-pound wideout, that answer may be a lot different. “You know, it actually looked a lot worse than it was,” Jones said. “It didn’t hurt. I’m sure if he landed on me, it would have hurt a lot more. He caught me in the air, so the hit didn’t hurt or anything. That was not the hardest hit that I’ve taken. No.” Jones was impressed at the time that Wilfork had the wherewithal to find him in the middle of the field. That play, more than any other, showed Wilfork’s impressive instincts. Jones will have to get used to lining up across from Wilfork at practice and training camp in the next few months. 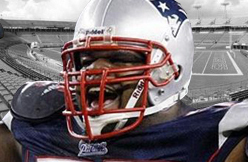 Luckily, Wilfork will mostly be moving forward, attacking offensive linemen, rather than wide receivers. In case you need a refresher on the Wilfork hit, check it out below. It certainly looks painful. Will Gore be like Emmitt Smith and Curtis Martin, who continued to be among the NFL’s best backs after age 30? Or will Gore be like so many others – including Edgerrin James and Jamal Lewis – who quickly limped away? 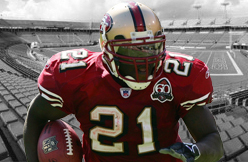 Gore has been an exceptional back for the 49ers since being taken in the third round of the 2005 draft out of the University of Miami. Though he suffered two serious knee injuries with the Hurricanes, he’s been a durable, productive player in San Francisco. He’s had six 1,000-yard rushing seasons, has a career average of 4.6 yards per carry and has played 14 or more games in seven of his eight pro seasons. Over the past two seasons, at ages 29 and 28, he’s had two of his most productive years. Last season, he rushed for 1,214 yards and eight TDs; in 2011, he rushed for 1,211 yards and eight TDs. Gore isn’t big at 5-foot-9 and 217 pounds, but he’s a darting, low-center-of-gravity back who usually slips away from big hits and makes much of his yardage after contact, squeezing through piles of defenders. But now that Gore on Tuesday turned 30, the 49ers have to be wondering how many more seasons of productivity they can expect from their workhorse. San Francisco has a good group of running backs behind him in 2012 draft choice LaMichael James and 2011 pick Kendall Hunter, and drafted former South Carolina standout Marcus Lattimore in the fourth round this season with intentions of putting him into the mix in 2014 when he’s had a chance to heal and rehab completely from knee injuries suffered in college. Former 49ers standout running back Roger Craig is one example. Craig rushed for 1,054 yards in 1989 when he was 29 years old. In his next four seasons his yardage totals were: 439, 590, 416 and 119. Jamal Lewis: 1,304 and 1,002 yards at ages 28 and 29 to 500 at 30 – his final season. On the other hand, Smith -- the former Cowboys back and league’s all-time rushing leader (18,355 yards) – continued to be one of the league’s best at age 30 when he rushed for 1,397 yards. At 31 he rushed for 1,203 yards, then rushed for 1,021 at age 32 and 975 at 33. At ages 30 and 31, Martin had rushing seasons of 1,308 and 1,697 yards. So, the jury is out. Gore, energized by the 49ers’ resurgence the past two seasons under head coach Jim Harbaugh and perhaps the best-blocking offensive line in the NFL, could still have another couple of great years ahead. Certainly, the 49ers’ diversified offense has many other weapons, and the team doesn’t have to run Gore 30 times a game to be effective. Harbaugh, who in his two seasons as the team’s coach has gained a great appreciation for No. 21, is likely betting that Gore still has something left. It's hard to imagine that any New Orleans Saints player is enjoying this offseason more than linebacker Jonathan Vilma. Although he still referred to the NFL's harsh bounty punishments as a "raw deal" on Wednesday night, he's no longer living under that dark cloud of a looming one-year suspension and a vicious legal battle against commissioner Roger Goodell. Just as refreshing, Vilma is now fully healthy after battling through a major knee injury over the course of two full seasons. And perhaps best of all, he's still here with the Saints. Vilma, 31, had to take a significant pay cut to stay in New Orleans, from $6 million in salary and bonuses to $1.2 million. And that probably meant swallowing a good deal of pride for the three-time former Pro Bowler as well. But it was worth it to Vilma, who wanted to be a part of this new, fresh start in 2013 that has created a noticeable energy and intensity inside the Saints' practice facility this offseason. New Saints defensive coordinator Rob Ryan recently referred to the inspired Vilma as "the talk of the weight room and the offseason." "I think we definitely have the intensity. And that just comes from being able to focus on football and what really matters instead of really focusing on other things," said Vilma, who spoke publicly for the first time this offseason during guard Ben Grubbs' charity softball game at Zephyr Field. "I think Sean (Payton) put it best when we had our first meeting. We're not gonna let what happened fuel us. What's gonna fuel us is our team, our intensity, our desire to win, our ability to go out there and win some games." I've liked a lot of the moves that the Saints have made this offseason. But I'm not sure any of them impressed me more than Vilma and defensive end Will Smith's willingness to take dramatic pay cuts to stay with the team. Sure, the writing was on the wall for both former Pro Bowlers. They were no longer producing at the level that matched their price tags, and they had no choice but to take those pay cuts if they wanted to stay employed. But these things don't always work out so smoothly. Just ask the Chicago Bears and legendary linebacker Brian Urlacher, who's still out of work. Or the Pittsburgh Steelers and James Harrison, who is now playing for the rival Cincinnati Bengals. I think it says a lot about the kind of guys that Vilma and Smith are. And even though I don't think they'll return to a Pro Bowl level on the field as they enter the later stages of their careers, I do think they can still be assets both on and off the field. They're among the most respected veteran leaders in the locker room - maybe even more so after showing their dedication to staying here. "Hey, I'm good on the money side. 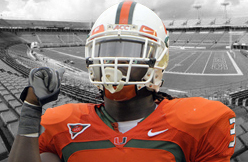 So it's just about winning right now," Vilma said. "And, you know, we say that all the time. But I would like to believe that most of our team really believes that. That we're a team. It's not really about individuals, it's not really about selfish, it's just about winning. "And I think that we kind of got a raw deal last year. It is what it is. And so we want to get back out there this year." Vilma especially can't wait to get back out there at full speed. He is finally back to full health after suffering a knee injury in the second game of 2011. Vilma tried to play through the injury throughout that 2011 season, then he eventually had major surgery that sidelined him until Week 7 of the 2012 season. He never looked quite like himself in either season. 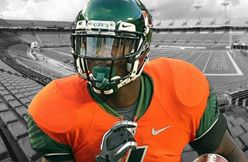 It's hard to predict that Vilma will be able to return to the same level he was at when he was 28 years old. But he'll at least feel better while he tries. When the topic of his health was brought up on Wednesday, Vilma didn't even wait for the question to end. "2010. It's been a while," Vilma said. "It's about that time, right? Yeah, I feel good. What a difference a year makes." Vilma will also have to make the transition to a 3-4 defense, which wasn't a great fit for him when he played it for one year with the New York Jets in 2007 after they made the switch under new coach Eric Mangini. 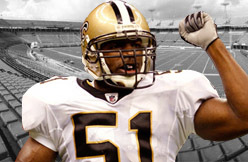 In fact, that was a major part of the reason why Vilma was traded to the Saints in 2008 - because he wanted to get back to playing middle linebacker in a 4-3 defense, where he has always had his best success in college and the pros. But Vilma insisted Wednesday night that he has no problem returning to that same position he played in the Jets' 3-4 - the weak-side inside linebacker spot. And he already showed his willingness to embrace a position change with the Saints last year. 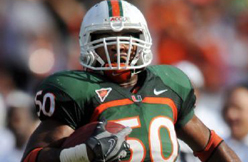 When Vilma returned from his knee injury, newly-signed linebacker Curtis Lofton had taken over the middle linebacker job. So Vilma played weakside linebacker in the 4-3 and nickel linebacker, both for the first time in his career. "I just didn't like the way we ran the 3-4 with the Jets," Vilma said. "And, you know, there's no point in going into details from way back then, but of course naturally I was going to say that. I was coming off a Pro Bowl and leading the league in tackles. So, duh. Of course I liked (the 4-3). But right now it's good. It's good." Vilma said there are actually a lot of similarities between Ryan's defense and Mangini's defense. "They came under pretty much the same lineage, so some of their terminology is the same and the way (Ryan) runs some of the defense is the same. It looks like he may be a little more aggressive than Mangini was. 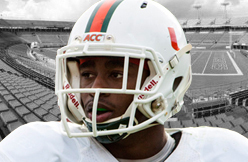 And we'll go from there," Vilma said. "You know, in New York we just didn't have the personnel. We had a small nose tackle, Dewayne Robertson, he was under 300. Our five-techniques were kind of light. So it kind of messed us up just with that respect. But the concept was good. "We have some guys here I think that can play really well in the 3-4, we brought in a couple guys. And of course a couple guys we had from Gregg (Williams') system were kind of retro-fitted a little more for a 3-4 to stop the run (from 2009-2011). That's the big thing, stopping the run." As for his early impressions of Ryan as both a schemer and a leader, Vilma sounded enthusiastic, though the team won't begin on-field practice sessions until next week. "I like Rob. Rob is an old-school coach. 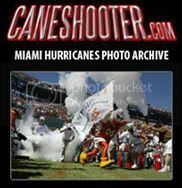 You know, he believes in putting players in position to make plays," Vilma said. "So we're fine with (the changes). From what we've seen so far in the meetings and our install, it looks good. And it's just a matter of applying it now to the field." "You know what, you can create that one of two ways with a defense. Blitzing a lot, like Gregg used to blitz a lot. Or you can create it as far as just with the atmosphere, with Coach, his style, his demeanor, his attitude. And I think that he's getting it both ways. So we can be very aggressive with blitzing, or we can just be aggressive with our base defense and just play it well. So we'll see what happens." 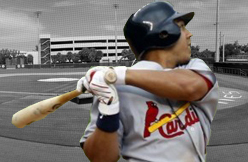 Cardinals CF Jon Jay drove in his 12th run in 11 games with an RBI double in the fourth inning and also notched his first assist of the year, doubling John Buck off second to end the second. Jay is hitting .439 (18-of-41) since May 2. 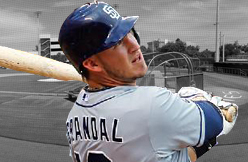 BALTIMORE -- It's nearly time for Padres catcher Yasmani Grandal to leave extended spring camp in Arizona and begin his road back to the big leagues. Grandal was suspended for the Padres' first 50 games in November after he tested positive for elevated levels of testosterone. Grandal is eligible to come off the restricted list on May 28 when the team is in Seattle, though he can begin a Minor League stint on Saturday, a period that can't exceed more than 10 days. The Padres have mapped out a plan for him that will see him report to Des Moines on Saturday, where Triple-A Tucson is playing. He will remain with the team during a four-game series in Omaha beginning Monday. The team returns to Tucson on May 24. "He feels good, everything is solid, offensively and defensively," Padres general manager Josh Byrnes said recently. "We will get him ready to play in those games and evaluate where he is and where our roster is." Grandal was able to participate in drills and games in Spring Training, and he remained in Arizona when after the team broke camp in late May. The Padres have two catchers on their roster; Nick Hundley and John Baker. Baker, who got the start against the Orioles on Wednesday, entered the game hitting .115. Baker has Minor League options, meaning that he'll likely be the one optioned to Triple-A Tucson when the Padres deem Grandal fit to return. Grandal made his Major League debut with the team on June 2 of last season. In his first start against the Rockies on June 30, Grandal hit two home runs. He later missed 17 games with a strained right oblique muscle. Grandal hit .297 with eight home runs and 36 RBIs in 60 games. Arizona Cardinals WR LaRon Byrd (neck) suffered neck spasms Tuesday, May 14, and was taken off the field on a cart. The injury is not believed to be serious, but Byrd will undergo an MRI. During his Tuesday conference call with season ticket holders, Pittsburgh Steelers general manager Kevin Colbert was asked about the health status of inside linebacker Sean Spence, who is still recovering from tearing up his left knee last preseason in the game against the Carolina Panthers. “Sean is progressing," said Colbert. "When you have as serious a knee injury as he unfortunately had, it sometimes is a very long process. Sometimes it takes over a year to fully rehabilitate. But the good thing is we are seeing signs of progress, albeit small steps. But it is progress. Sean’s attitude is off the charts. He wants to rehab. He wants to be a great player. He is working hard to get there. He is making small progress, and as long as he is making progress, we will be patient with him and hopefully get him back at full speed at some point." If you have followed along with the updates on Spence, you can clearly see that the Steelers have accepted the fact that he will not be playing in 2013. Linebackers coach Keith Butler said during his talk with the media following the selection of Florida State inside linebacker Vince Williams in the sixth round of the 2013 NFL draft, that it would be a miracle if he ever plays again. "I don’t think he is going to be, Butler said when asked if Spence would be ready to play in 2013. "It will be miraculous if he does come back. It will be miraculous if he comes back next year. We are going to take a chance on him and see if he can come back. To me, he is worth every bit of that." During the recent rookie camp, Steelers head coach Mike Tomlin was more positive with his remarks about Spence, the Steelers third round draft pick in 2012 out of Miami. "I did hear the (Butler's) opinion regarding Spence, my opinion differs," said Tomlin. "I think he's going to have a full recovery, but now you have two opinions, neither of which are expert medical opinions, so do with it what you wish." It was reportedly early in the offseason that Spence had damage to his peroneal nerve, which is located on the outside part of the lower knee and is responsible for transmitting impulses to and from the leg, foot, and toes. When that nerve is damaged, the muscles may become weak and condition called foot drop, which is the inability to raise the foot upwards, can occur. When the Detroit Lions open Organized Team Activities next week, the biggest position battle will be at right tackle. Gosder Cherilus is gone after five seasons, off to Indianapolis as a free agent, and Jason Fox and Corey Hilliard are in a two-man competition to replace him. Hilliard said the starting job is “a toss-up” for now and something neither player is consumed with. The Lions are still auditioning for help at offensive tackle. They worked out Winston Justice among other linemen last week, and general manager Martin Mayhew said after the draft that he hoped to add a veteran to the mix. But Hilliard and Fox both have played well in small doses in recent years, and Lions coaches have publicly expressed confidence in that pairing every chance they’ve had this off-season. New offensive line coach Jeremiah Washburn even had Fox, not veterans Dominic Raiola nor Rob Sims, reach out to rookie third-round pick Larry Warford after the draft. Warford is expected to start at right guard this fall. Both Fox and Hilliard have had limited playing time in their careers. A fourth-round pick out of Miami (Fla.) in 2010, Fox was slowed his rookie season by college knee surgery and missed time the following year with foot and knee injuries. He played one half of one game on offense in 2010, and has appeared in just one game since, on special teams. Still, Hilliard said Fox was retired left tackle Jeff Backus’ “right-hand man” last year. 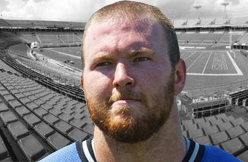 There’s a reason the Lions re-signed Hilliard before the start of free agency, too. 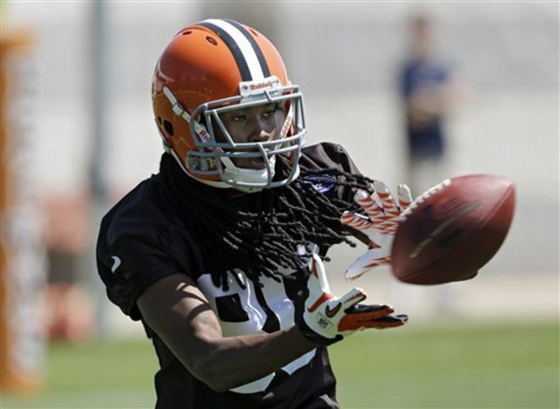 Hilliard didn’t dress for a game last year but he has shown steady improvement since the Lions signed him off the Cleveland Browns’ practice squad in 2009. He started four games at right tackle in 2010, after Cherilus underwent microfracture knee surgery, and one more a year later, when Cherilus was benched for disciplinary reasons. On Monday, we took a look at cornerback Josh Victorian, who will be battling to make the Pittsburgh Steelers 53 man roster out of training camp this year and today we will look at cornerback DeMarcus Van Dyke, who figures to be competing against Victorian for that same roster spot. Van Dyke, who was drafted in the third round of the 2011 draft by the Oakland Raiders, did not arrive in Pittsburgh until right before the 2012 season started as he was waived by the team that drafted him during their final roster cut down. Right after the Steelers signed him, head coach Mike Tomlin was asked about his newest player prior to the season opener against the Denver Broncos. "We were interested in this young man when he came out in the draft in 2011," said Tomlin about Van Dyke. "Obviously, we ended up with Curtis Brown and Cortez Allen, but he was within that group and in that range from a grading standpoint. I was at his pro day. He’s got big-time upside, he’s an extremely fast guy. It was an opportunity for us to put a young cornerback in the mix and continue to work with him and develop his skill and see if maybe he can help us at some point." Despite being new to the team, Van Dyke dressed for the Steelers season opener against the Broncos and played on special teams. He managed to get himself noticed on the Steelers second punt of that game, however, when he downed a Drew Butler punt at the Broncos one yard-line. The following week against the New York Jets, Van Dyke again made his presence felt on special teams when he used his speed in the third quarter to race downfield on a punt that resulted in Jets return man Jeremy Kerley muffing the catch with him in his face and Steelers safety Ryan Mundy recovering the loose football. Little did we know it that time, that that would be pretty much it for Van Dyke's positive contributions for the remainder of the season. Over the course of the next four games, Van Dyke became a liability on special teams as he racked up five penalties during that span. On four occasions he was flagged for holding and one other time he was flagged for running out of bounds while covering a punt. As a result of the penalties, Tomlin made an example out of Van Dyke as he chose to dress him only once over the course of the next six games. If not for the late season injuries in the Steelers secondary, Van Dyke more than likely wouldn't have dressed for the remainder of the season. However, when starting cornerback Ike Taylor fractured his ankle in the Week 13 game against the Baltimore Ravens, Van Dyke found himself back in uniform playing on special teams the following week against the San Diego Chargers. With both Taylor and Cortez Allen out injured the following week against the Dallas Cowboys, it looked as if Van Dyke might actually be in line for his first defensive snaps of the season, but a separated shoulder suffered covering the game's first punt resulted in him being out of the game and the remainder of the season as a result. Van Dyke has long since had his injured shoulder surgically repaired and he will presumably will be ready for the upcoming OTA sessions. 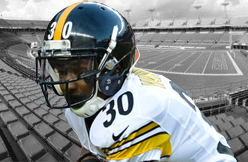 However, the incompetence that he showed last season on special teams combined with the Steelers bringing back William Gay during the offseason, and the drafting Illinois cornerback Terry Hawthorne just last month, will severely hamper his chances at making the 53 man roster this year out of training camp. Should Van Dyke fail to make the final cut, his time in Pittsburgh will be up as he no longer has practice squad eligibly. 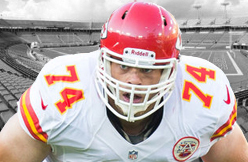 The Redskins haven't made an effort to sign free agent RT Eric Winston this offseason. Winston has been linked to the 'Skins in each of the last two offseasons because he played for Kyle Shanahan in Houston. Now Shanahan is running the same blocking scheme in Washington. The Washington Post says that Winston's price tag seems to have a lot to do with their lack of interest right now. 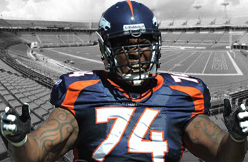 DENVER (CBS4) – Orlando Franklin is turning to Twitter as he plots his revenge against Peyton Manning and Eric Decker after he was surprised with a shaving cream pie-in-the-face on live television last week. Franklin was at Coors Field taking in a Rockies game with more than 30 Broncos teammates from a luxury box when the interview and sneak attack took place. The Broncos offensive lineman told CBS4′s Vic Lombardi on Xfinity Monday Live that he will give four tickets to any home game this season to the fan who tweets him the best idea for a practical joke or prank that he thinks is worthy of trying as retaliation against Manning, the mastermind, and Decker, who did the deed. “My first instinct was to get (Decker) back in some sort (of way). I was just happy that he slipped up when he was trying to get away from me and I was able to catch him and bring him back in front of the camera and wipe a bit of that shaving cream back in his face,” Franklin said. Franklin told Lombardi he’s serious and asks that people contact him here: @OFranklin74. Texans linebacker Brooks Reed had an offseason operation to address an injury suffered during the season, defensive coordinator Wade Phillips said during a radio appearance on 610 AM on Thursday. Phillips did not indicate the surgery would be a problem for Reed heading into the Texans’ organized team activities, which begin May 20. He addressed Reed when asked about his level of concern over safety Ed Reed, who had arthroscopic hip surgery recently. Brooks Reed missed four games late last season with a torn groin. Phillips said inside linebacker Darryl Sharpton was still recovering from the hip injury that landed him on injured reserve in January. 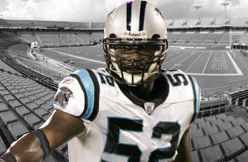 Carolina Panthers linebacker Jon Beason has missed all but five games in the last two season and had three surgeries in a 17-month period, but the veteran has every intention to return to the field for the Panthers sooner rather than later, although that won't be during minicamp. Beason, 28, made three consecutive Pro Bowls at middle linebacker before his two injury-riddled seasons. Now, he's expected to return to the Panthers as an outside linebacker after suffering shoulder and knee injuries that sent him to injured reserve in October. Taking his place in the middle in 2012 was first-round draft pick Luke Kuechly, who went on the become the AP Defensive Rookie of the Year. A first-round pick in the 2007 NFL Draft, Beason played and started in all 64 games the Panthers played during the first four years of his career. After two seasons of injuries, Beason told Person that he's excited to get back to doing what he loves to do. "For me, it can't get here any faster. 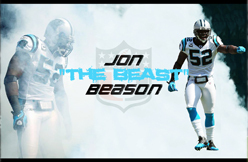 Obviously, I want to take advantage of the time that I have to get stronger and to heal up even more," Beason said. "But I'm just so anxious to get back to doing what I love. I love to play the game of football. There's nothing else I'd rather do." 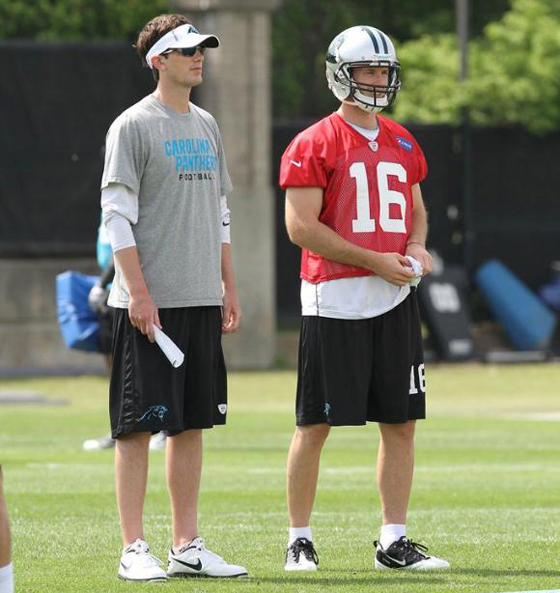 While he isn't expected to participate in minicamp next month, Beason did go through the walkthrough at the Panthers OTAs on Monday and should be ready for training camp. 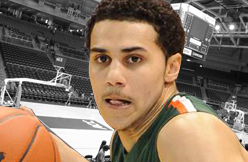 Shane Larkin and Kenny Kadji are one step closer to realizing their NBA dream. The former University of Miami basketball players are among 61 players invited to Chicago for the NBA Combine, which begins Wednesday and runs through Sunday. The NBA’s general managers and scouts will interview the players, put them through a battery of athletic tests, and measure them to determine their true heights. Larkin, who is listed as a 5-11 and 186-pound point guard, said he is eager to show any doubters that his athleticism, strength, and court sense can compensate for his lack of height. “It’s huge to get an invitation to the combine,’’ Larkin said by phone from Bradenton, where he has been training at the IMG Academy with former UM teammates Kadji, Reggie Johnson, and Julian Gamble. Kadji said he isn’t nervous, either. Kadji said he has “no doubt’’ Larkin has what it takes to play in the NBA. Larkin and Kadji will fly together from Bradenton to Chicago on Wednesday morning along with a few other draft prospects who have been working out at IMG. The invitation list for the NBA Combine was compiled from votes of all 30 NBA front offices. The league sent each team a list of a few hundred draft-eligible players, and each team voted for 60 invitees. Larkin is being projected as a first-round or early second-round pick, and Kadji as a second-round pick. The NBA Draft is June 27. Ryan Braun went 3-for-6 with two doubles as the Brewers lost to the Pirates in extra innings on Tuesday. Braun sat out Monday's game with neck tightness, an issue that has plagued him off and on through the early part of the season, but he was back in the lineup producing on Tuesday. The neck issue is something he may continue to deal with as the season progresses, but he's been able to play through it for the most part thus far. It's something to monitor, but it's no reason to downgrade Braun for the time being. Mike James had to wait until the Tampa Bay Bucs' final pick in order to get drafted into the NFL. The former Ridge Community High and Miami Hurricanes running back did not wait that long to sign a contract. James signed a four-year deal with the Bucs on Monday, ensuring the rookie will be at all workouts and training camp on time. Financial terms of the deal were not released. When it comes to James, the Bucs have high expectations for the rookie. Drafted in the sixth round, the Bucs expect the 5-foot-10, 223-pounder to compete for the lead back-up running back role. He also is expected to be a valuable member of special teams. "He's a powerful player," said Bucs General Manager Mark Dominik after the team drafted James. "He's a big back. He does everything. What makes Mike so special is he can play on first, second, third and fourth down. He's very dependable; very trustworthy. 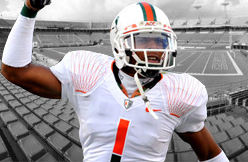 James started every game his senior season with Miami and played in 50 games overall. He ran for 1,386 total yards and 17 touchdowns during his career. 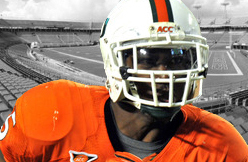 He also added 67 catches for 585 yards and five scores during his time with the Canes. METAIRIE, La. — New Orleans Saints general manager Mickey Loomis says the club has signed six players who received tryouts at rookie camp last weekend. The signings announced Monday include that of Brent Leonard, who was Louisiana-Monroe’s leading receiver last season. Also signed were defensive end Baraka Atkins, defensive back Korey Lindsey, kicker Jose Maltos, running back Khiry Robinson and guard Jeremiah Warren. 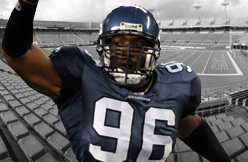 Atkins has played two seasons in the NFL since Seattle drafted him in 2007. Lindsey, a 2011 Cincinnati draft choice, has been with five NFL teams. Warren was on New England’s practice squad for much of 2012, his rookie season. Maltos and Robinson are rookies. Loomis says the Saints also have waived ex-West Virginia running back Shawne Alston, former Utah cornerback Ryan Lacy, and 2012 practice squad center Ryan Lee. CHARLOTTE — Carolina Panthers linebacker Luke Kuechly said one of the things that makes veteran linebacker Jon Beason so effective is Beason’s ability to communicate on the field. Beason was talking plenty Monday night, directing traffic as he and 15 teammates served multi-course dinner at a celebrity waiter charity event at the Palm that benefited Beason’s education-focused MLB Foundation. The Panthers’ starting linebacker corps was represented, as well as its top reserve. Joining Beason and Kuechly were veteran Thomas Davis and Chase Blackburn, the former New York Giants linebacker who signed with Carolina as a free agent this offseason. The group figures to benefit from the arrival of the team’s top draft picks – defensive tackles Star Lotulelei and Kawann Short, who will try to occupy blockers up front to allow the linebackers to roam more freely. Lotulelei and Short will join an interior rotation that includes Dwan Edwards, who re-signed with the Panthers after finishing with a career-high six sacks in 2012. Ron Edwards, the other starter at defensive tackle last season, was released during the offseason. Kuechly led the league with 164 tackles and won The Associated Press Defensive Rookie of the Year award last season when Beason was hurt. Kuechly began the season on the outside and moved to the middle in Week 5 after Beason went down with season-ending knee and shoulder injuries. Beason, who had three surgeries within a 17-month span, said last month he plans to return better than before injuries cost him all but five games the past two seasons. He also has conceded the middle to Kuechly, who became the first rookie to lead the league in tackles since San Francisco linebacker Patrick Willis in 2007. 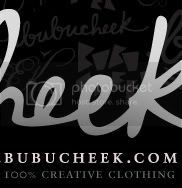 Kuechly, who returned to Boston College during the offseason to resume work on his degree, said he has areas where he can improve in his second season. Meanwhile, Beason is itching to get back on the field after two injury-shortened seasons. Beason is not expected to participate in the team’s minicamp next month. But he said going through Monday’s walkthrough during the first day of phase 3 of organized team activities fired him up. Overtown Optimist Club Presents NFL Houston Texans CB Brandon Harris “NO FLY ZONE” Youth League 7-on-7 Flag Football Camp, taking place at City of Miami Parks & Recreation’s Gibson Park, Curtis Park, and Moore Park Stadiums on Saturday June 1st, June 8th, June 15th and Sunday June 23rd, 2013 from 9:00AM-3:00PM featuring South Florida’s top youth football teams in competition. Overtown Optimist Club Presents NFL Houston Texans CB Brandon Harris “NO FLY ZONE” Youth League 7-on-7 Flag Football Camp will take place in the City of Miami for the first time to nurture sportsmanship, competition and athletic training to the youth teams from all of South Florida. Brandon Harris “NO FLY ZONE” Youth League 7-on-7 Flag Football Camp will feature 3 weekends of 7-on-7 football tournament play, Nike SPARQ Combine Training for ALL athletes participating and a Youth League Coaching Clinic on June 15, 2013 - FREE of charge. The Brandon Harris “NO FLY ZONE” Youth League 7-on-7 Flag Football Camp is a FREE service to the community and all participants. Event Times will be 9:00AM-3:00PM. The Tournament play will be devised of 4 age groups: Seniors (15-14), Juniors (13-12), Sophomores (12-11) and Freshmen (10-9). There are 8 teams per age group and space is first come first serve. ALL South Florida Youth Football Leagues are invited. To enter teams or for more information – Contact: Tim “ICE” Harris timiceharris@gmail.com or Torian Bean torianbean@gmail.com . The Overtown Optimist Club is a cooperative agreement amongst local organizations throughout South Florida to provide summer recreational/semi-competitive level flag football for participants ages 9-15. The camp strives to create a fun environment for youth to increase their physical activity, learn sportsmanship and skills that will help those succeed in future endeavors both on and off the field. 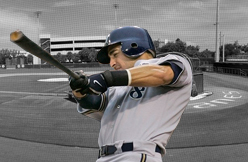 Pittsburgh -- Ryan Braun is out of the lineup tonight with a stiff neck as the Milwaukee Brewers open a four-game series against the Pittsburgh Pirates at PNC Park. Manager Ron Roenicke had hinted over the weekend in Cincinnati that Braun would probably need a game off to recuperate a bit, and Monday wound up being the day. The timing certainly isn't great, as the Brewers have lost four straight games and nine of 10 and Braun is a career .429 hitter against Pirates starter A.J. Burnett (6 for 14), but the neck has gotten to the point where it needs to be addressed. "I don’t want him out of there," Roenicke said. "But physically he’s been fighting the neck issue. He wasn’t sure if he was going to be able to play the games in Cincinnati. Somewhere, whether it was yesterday or today, he needs a day. "It’s different when you’re playing well and things are going good. But we need him, and he does hit Burnett well." Roenicke said that as far as he knew, Braun didn't aggravate his neck while playing. "Wasn’t a swing," he said. "I don’t know if it was sleeping. But he woke up with it stiffer again and fought pretty good for a couple days. Maybe getting a little bit better from it, but we want to get rid of it and make sure we get the guy back in the No. 3 slot that we need to have." Braun missed an entite three-game series against Arizona at Miller Park earlier in the season with neck spasms, and the Brewers wound up being swept. Roenicke indicated this latest bout of pain isn't serious enough to keep Braun out multiple games, however. "I don’t think it is," he said. "At that point he couldn’t turn his head." Braun will be available to pinch hit tonight if need be. "He thought he was going to be OK to pinch hit," said Roenicke. "I told him I’ll give him plenty of warning. But he said I could use him." Say what you want about the New England Patriots defense, but there’s no denying Vince Wilfork's status as one of the best defensive linemen in the NFL. That point was recently echoed by CBSSports.com’s Pat Kirwan, who lists Wilfork as the third best defensive lineman in the NFL. Kirwan also believes that Patriots defensive end Chandler Jones could become one of the league’s best defensive ends by midseason. Houston's J.J. Watt and Baltimore’s Haloti Ngata were listed as the top defensive linemen. In grading Wilfork, Kirwan notes his improved stamina. In previous years, Wilfork came off the field in passing situations, which limited him to a combined 1,179 snaps during the 2008 and 2009 seasons (30 games). Last season, he played 1,041 snaps, including playoffs. “Wilfork has outstanding range along the line of scrimmage and that’s the reason New England plays him at DE more often than he lines up in his original nose tackle position,” Kirwan writes. Arizona Cardinals defensive end Calais Campbell has been a model of consistency since being drafted in the second round of the 2008 NFL Draft. Each of the last four seasons, Campbell has recorded at least six sacks, and from 2010-12 has at least 60 tackles to his credit. While Campbell has often been overlooked -- yet to make a Pro Bowl -- in the shadow of fellow teammate and lineman Darnell Dockett, people are starting to take note of the former Miami standout's playmaking abilities. In his weekend column, CBSSports.com NFL Insider Pat Kerwin ranked the top 10 lineman out of the league's possible 116 starters. The rankings weren't just based on statistics (sacks, hurries and knockdowns) but rather which players have the most success regardless of their scheme -- be it a 3-4 or 4-3. Campbell came in at No. 8 on the list. 8. 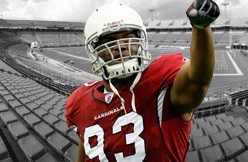 Calais Campbell, Arizona: Campbell has a rare combination of size and athletic ability. He was overshadowed by teammate Darnell Dockett for years but has emerged as a dominating 3-4 DE. At 6-feet-7 he can play with leverage and get under the pads of shorter offensive linemen. DETROIT -- Indians closer Chris Perez had both his and the team's long-term goals in mind when he said he couldn't pitch in Sunday's win over the Tigers. While warming up in the bullpen in the top of the ninth, Perez felt stiffness in his right shoulder and alerted bullpen coach Kevin Cash. Indians manager Terry Francona went with the combination of left-hander Rich Hill and right-hander Cody Allen in the 10th inning to claim a 4-3 victory. "Missing a day here is better than missing two months," Perez said after the game. "I might've pitched in the past. ... I always want to pitch. I always want to be up. But I felt a little better today knowing we have good arms down there." Perez said he expected to be available for Monday's doubleheader with the Yankees. Perez logged 22 pitches in a dramatic ninth-inning save in Saturday's 7-6 win over Detroit, giving the two-time All-Star six saves on the season. Through 13 appearances, the right-hander has gone 1-0 with a 0.69 ERA and 14 strikeouts in 13 innings. During Spring Training, Perez missed a significant amount of time due a right shoulder injury, but he said this latest incident is unrelated to that. "It's definitely different," Perez said. "It's a different part of the shoulder." Prior to Sunday's game, Francona met with Perez and asked the closer to be honest with how he felt during the game, given that the closer worked an intense save the previous night. The manager said he appreciated that Perez was honest with him. "He was really good about it," Francona said. "After he got up and threw, he said, 'You know what? [the shoulder is stiff].' I thought he used very good judgment. He was feeling it. I just don't want it to lead to an injury." 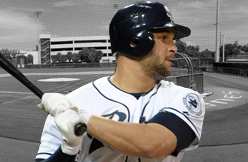 As a rookie in 2012, Padres first baseman Yonder Alonso hit his fourth homer in the season’s 92nd game on July 17 and drove in his 19th run in the season’s 81st game on July second. He reached both those totals Friday in the Padres 29th game while going 2-for-4 with a decisive two-run homer off Wade Miley..
Alonso is on pace to hit 22 homers and drive in 106 runs this season after finishing with nine homers and 62 RBI last season. Alonso, 25, has also hit safely in 10 of his last 12 games, hitting .341 (14-for-41) with three doubles, two homers and 11 RBI. He has reached base safely in 11 of his last 12 games. He is also hitting .375 (18-for-48) at Petco Park this season with four doubles, two homers and 11 RBI. He has hit safely in 12 of the 13 home games he’s played. 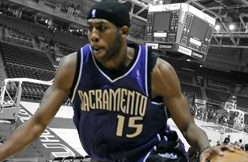 The Sacramento Kings have been a true home for John Salmons in his NBA career and the 11-year veteran was probably as happy as anyone that steps have been made to keep the Sacramento franchise in the NBA. Salmons has had some excellent years in Sacramento, especially his first stint with the Kings. He’s a veteran face with the franchise and a crowd pleaser. The fans in Sacramento will especially be happy they’ll see Salmons in action next year. Salmons did not want to go to Seattle and have a home team where the fans know little about him and didn’t really appreciate him, like they do in Sacramento. But one needs to wonder how the Sacramento Kings will use him for next season. Salmons might not admit this, but he appears to be at the twilight of his career. For the Milwaukee Bucks, during the 2011-12 season, he was at 35 minutes, 14.0 points, 3.6 rebounds and 3.5 assists a game. But his last two seasons with the Kings have been a struggle. He played in 46 games during the NBA lockout shortened season in 2011-12 and only averaged 7.5 points per game. This season, he got slightly better with 30.0 minutes per game, 8.8 points per game, 2.7 rebounds per game and 2.0 assists per game. His best season came in Sacramento for 2008-09 when he averaged 37.4 minutes, 47.2 percent field goal shooting and 18.3 points per game. His best basketball is probably behind him, but Salmons should plan on a hard summer of work and the result could be more solid production for the Kings next year.